CELEBRATE THE FIFTEENTH ANNIVERSARY! 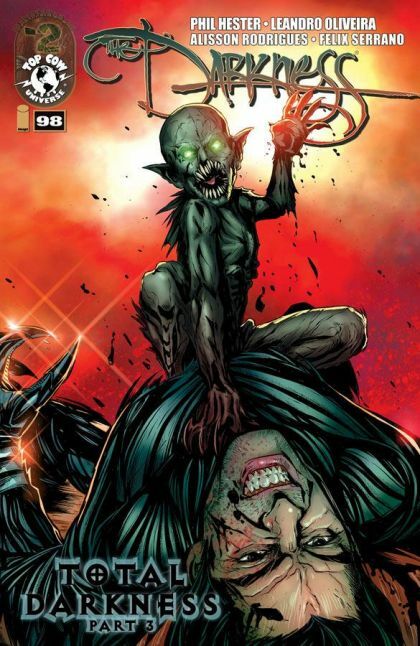 Fighting his way further into the Darkness dimension itself, Jackie Estacado will need be forced to decide what he is willing to sacrifice in order to confront and destroy the Darkness itself. Long time writer PHIL HESTER (Wonder Woman, Green Hornet) and ROMANO MOLENAAR (THE DARKNESS II: CONFESSION) barrel towards the landmark issue #100!